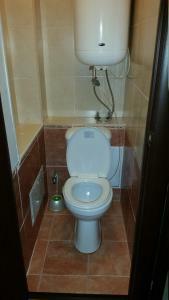 A-HOTEL.com - Luxury and cheap accommodation in Vtoraya Rechka, Russia. Prices and hotel, apartment booking in Vtoraya Rechka and surrounding. This indicative offer was derived from the most recently booked accommodation in Vtoraya Rechka and sort by the price, from cheapest Vtoraya Rechka accommodation to the most expensive hotels. To select accommodation by your preferences we recommend to choose from 1 accommodation offers in Vtoraya Rechka in total. By entering the dates of your overnight stay in Vtoraya Rechka and using the filter tools you can sort the best possible accommodation for you. The entered dates of your stay are crucial for the most accurate offer as it derives all the online information on pricing and availability of Vtoraya Rechka accommodation. Then you can book the selected Vtoraya Rechka lodging (hotels, apartments etc.) immediately. Free Wi-Fi and free private parking are offered at this hotel, located in Vladivostok, 8 minutes’ drive from Vladivoctok Train Station. Rooms at Yakhont Hotel include a sofa. This hotel is 100 metres from the Sea of Japan and Vtoraya Rechka Train Station, 20 km from the centre of Vladivostok. The Primoravtotrans offers a 24-hour reception. Located 600 metres from Amur Bay in Vladivostok, Bamboo Hostel offers free WiFi. All rooms come with air conditioning. Situated in Vladivostok, 8 km from Eagle's Nest Hill, Hostel Druzhba has a shared lounge. The property is located 11 km from Zolotoy Rog Bay. Featuring free Wi-Fi and a flat-screen TV in rooms, Hotel Tom is located 100 metres from the Amur Bay in Vladivostok. The city centre is 15 minutes' drive away. Located 8 km from Eagle's Nest Hill, Hotel Bay Garden offers 4-star accommodation in Vladivostok and features a bar. Among the facilities of this property are a restaurant, a 24-hour front desk and room service, along with free WiFi. Studio On Pechorskaya offers accommodation in Vladivostok, 5 km from Eagle's Nest Hill and 8 km from Zolotoy Rog Bay. The accommodation features free WiFi.